The most accessible wireless Shure vocal microphone for elevating sound quality combined with simple setup and an intuitive interface for performance you can trust in. 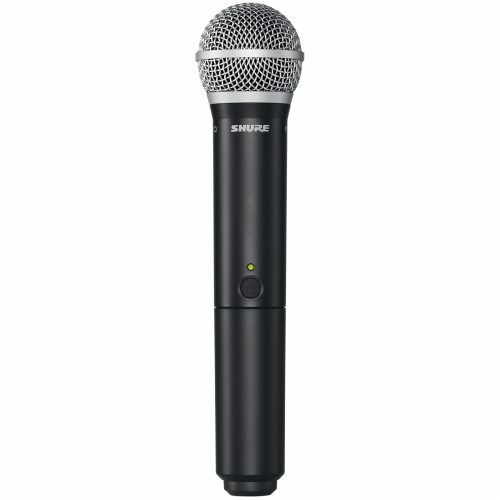 This Shure wireless package with PG58 capsule is a great option for those that want a great sounding microphone with reliable wireless technology but don’t want to spend out on expensive tour-grade systems. Use up to 12 compatible units at a time! Included is the exact same transmitter/receiver technology as included in Shure’s top end analogue wireless systems so you know you’ve got a system you can depend on!